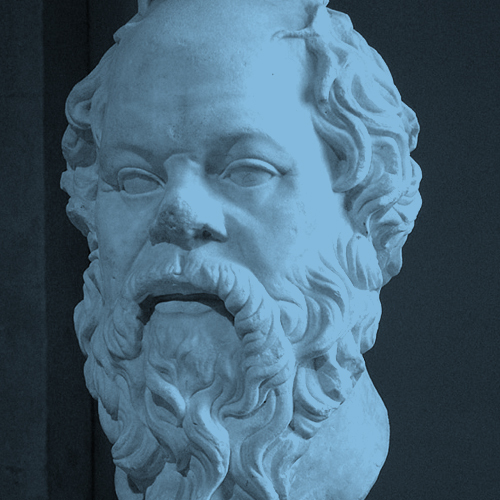 Not much time will be gained, Athenians, in return for the evil name which you will get for killing Socrates. If you had waited a little while, your desire would have been fulfilled in the course of nature. For I am old, and not far from death. You think that I was convicted through deficiency of words - I mean, that if I had thought fit to leave nothing undone, nothing unsaid, I might have gained an acquittal. But I had not the boldness or impudence or inclination to address you as you would have liked me to address you, weeping and wailing and lamenting, and saying and doing many things which you have been accustomed to hear from others, and which, are unworthy of me. But I don't regret my defence. I would rather die having spoken after my manner, than speak in your manner and live. For often in battle there is no doubt that if a man will throw away his arms, and fall on his knees before his pursuers, he may escape death; and in other dangers there are other ways of escaping death, if a man is willing to say and do anything. The difficulty, my friends, is not in avoiding death, but in avoiding unrighteousness; for that runs faster than death. I am old and move slowly, and my accusers are keen and quick, and the faster runner, who is unrighteousness, has overtaken me. Me you have killed because you wanted to escape the accuser, and not to give an account of your lives. that is not a way of escape which is either possible or honorable; the easiest and noblest way is not to be crushing others, but to be improving yourselves. Til now the oracle within me has constantly been in the habit of warning me. Was I going to make a slip or error? But now there has come upon me that which is generally believed to be, the last and worst evil. But the oracle made no sign of opposition. Either as I was leaving my house and going out in the morning or when I was going up into this court or while I was speaking. What do I take to be the explanation of this? I will tell you. I regard this as a proof that what has happened to me is a good, and that those of us who think that death is an evil are in error. Either death is a state of nothingness and utter unconsciousness, or, as men say, there is a change and migration of the soul from this world to another. Now if you suppose that there is no consciousness, but a sleep like the sleep of him who is undisturbed even by the sight of dreams, death will be an unspeakable gain. For if a person were to select the night in which his sleep was undisturbed even by dreams, and were to compare with this the other days and nights of his life, and then were to tell us how many days and nights he had passed in the course of his life better and more pleasantly than this one, I think that any man, will not find many such days or nights, when compared with the others. Now if death is like this, I say that to die is gain; for eternity is then only a single night. But if death is the journey to another place, and there, as men say, all the dead are, what good can be greater than this? What would not a man give if he might converse with Orpheus and Homer? Nay, if this be true, let me die again and again. I, too, shall have a wonderful interest in a place where I can converse with Ajax and other heroes of old, who have suffered death through an unjust judgement; and there will be no small pleasure, as I think, in comparing my own sufferings with theirs. Above all, I shall be able to continue my search into true and false knowledge; as in this world, so also in that; I shall find out who is wise, and who pretends to be wise, and is not. For in that world they do not put a man to death for this; certainly not. For besides being happier in that world than in this, they will be immortal, if what is said is true. Wherefore, judges, be of good cheer about death, and know this of a truth - that no evil can happen to a good man, either in life or after death. He and his are not neglected by the gods; nor has my own approaching end happened by mere chance. But I see clearly that to die and be released was better for me; and therefore the oracle gave no sign. For which reason also, I am not angry with my accusers, or my condemners; they have done me no harm, although neither of them meant to do me any good; and for this I may gently blame them. The hour of departure has arrived, and we go our ways - I to die, and you to live.